Price Quality Service - Murray Roofing Company Inc. Price Quality Service - Murray Roofing Company Inc.
Price Quality Service - Murray Roofing Company Inc.
What is the cost of your car, SUV or truck? The purchase price? Of coarse not! There’s inspection fees, registration fees, insurance policy payments, gas, oil, etc. The list never seems to end. The total cost of a commercial roof is no different. Depending on the contractor, thickness of insulation, does it need to be tapered insulation for drainage, thickness of rubber and flashings, thickness of metal trim, warranty length, and more. Murray Roofing Company Inc. recommends using the best roofing materials and getting the longest term warranty. 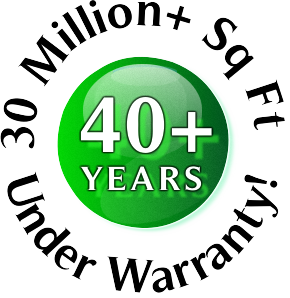 While the upfront cost is higher, the average cost per year over the life of the warranty is less. Murray Roofing Company Inc.’s professional estimators will explain all your options to you. Our contracts list all items unique to your project. We don’t pressure you to sign a contract. We encourage you to take your time, read the contract then get all your questions answered. The adage is “Price, Quality Service, Pick Any Two”. 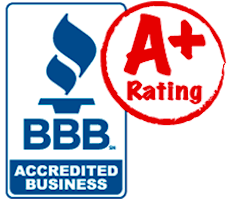 At Murray Roofing Company Inc., we have earned our A+ Rating with the Better Business Bureau by “ALWAYS” giving all our customers “ALL THREE“. You can always trust Murray Roofing Company Inc. with your commercial roofing project. 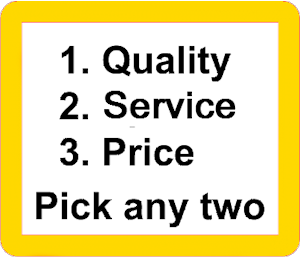 Murray Roofing Company Inc.Gives You All Three!